The Midnight Oil Smockers chapter will present a FREE demonstration of the progression and tools needed to create a smocked garment. This presentation will be open from 10 - 12 noon Saturday February 23, 2019. Please contact Cupcake Quilts or midnightsmockers@gmail.com with any questions. We look forward to seeing you! 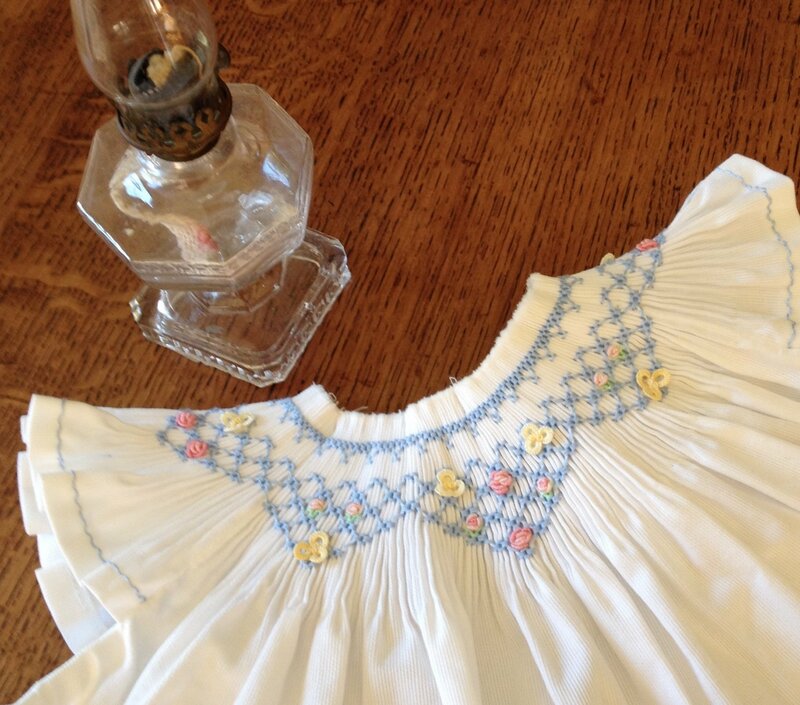 In Celebration of ‘National Smocking Month’, the Midnight Oil Smockers of Houston will exhibit smocking, heirloom and other related needle art items at Cupcake Quilts located in Humble, February 1-23, 2019. Come visit the shop and view the display. You may visit their blog at midnightoilsmockers.blogspot.com or find them on FaceBook - Midnight Oil Smockers.